Hard Rock Hotel and Casino Las Vegas has two high stakes rooms dedicated to high rollers - the Peacock Lounge and the fender room. The Peacock Lounge is Hard Rock Casino's high stakes room for the gaming elite. It is discreetly located off of the main casino floor. It is a place of triple digit limits, rich woods and leather seats. The Peacock Lounge is inspired by rock superstar Jimi Hendrix. In 1968 Jimi Hendrix played the Filmore and he strode onstage wearing a peacock feather vest, and for generations to come that image of the master is indelible. His legend lords over at the Peacock Lounge. On the other hand, the Fender Room offers high stakes slot machine. Not for the weak of heart, and the Fender Room houses the hottest of the big-ticket slots. Hard Rock Hotel and Casino Las Vegas also has a new Poker Lounge that boasts a full bar and lounge, private VIP rooms, bottle service, iPod stations, and big screen TVs. Free poker lessons are available. The new Poker Lounge holds 18 tables. Meanwhile the casino floor is decked out in styles distinctly Hard Rock. 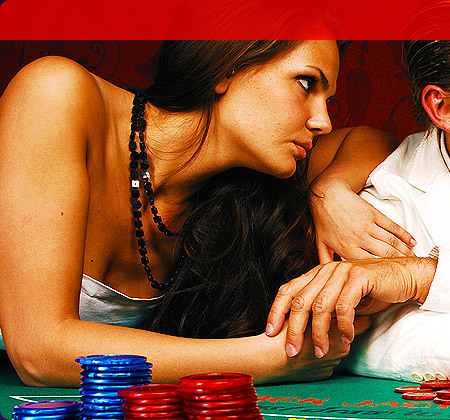 The gaming tables will change the size of your wallet and the rate of your pulse. 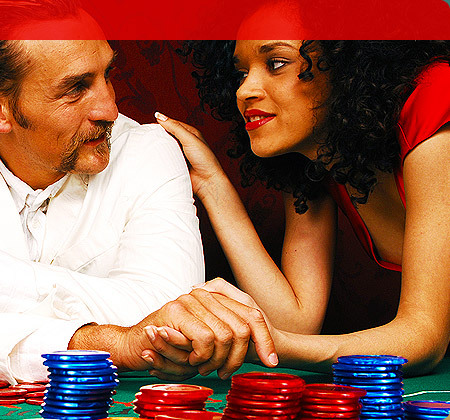 From Blackjack to Craps, Pai Gow to Roulette and all the games in between, the Hard Rock Casino tables are ruled by luck. 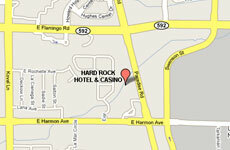 The Hard Rock Casino also offers over 600 slot machines ranging from denominations of penny to $100. 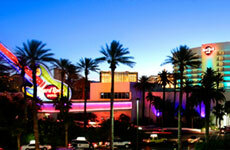 Hard Rock Hotel and Casino Las Vegas also has a Race and Sportsbook called Sports Deluxe. It features as many as 40 racetracks or games simultaneously broadcast on the Plasma TVs inside. High Rollers can reserve booths with touch screen betting terminals and TVs built into the tables.